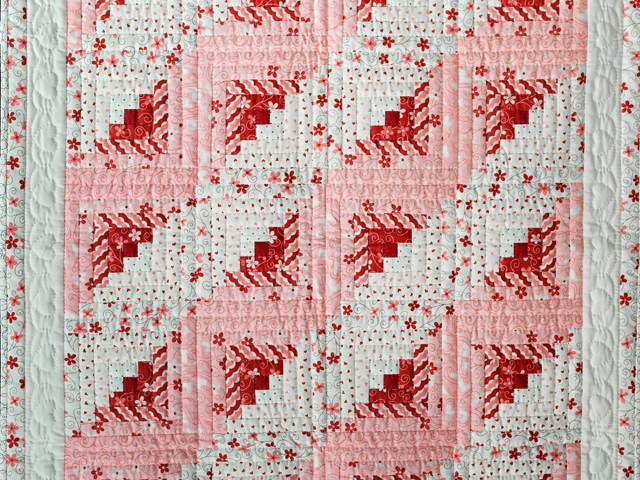 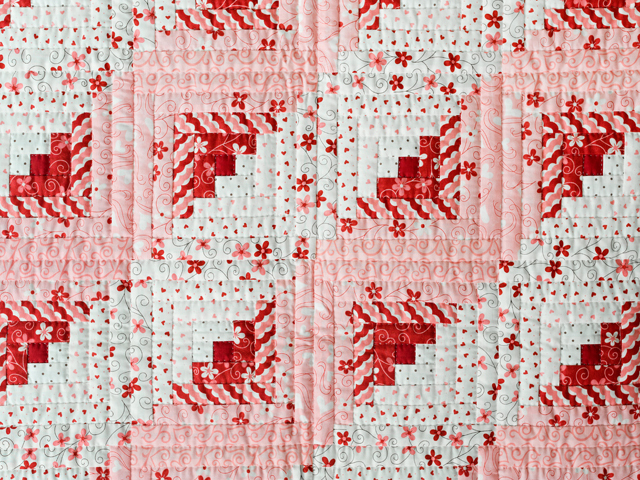 Traditional Log Cabin in a gorgeous variety of red and pink fabrics! 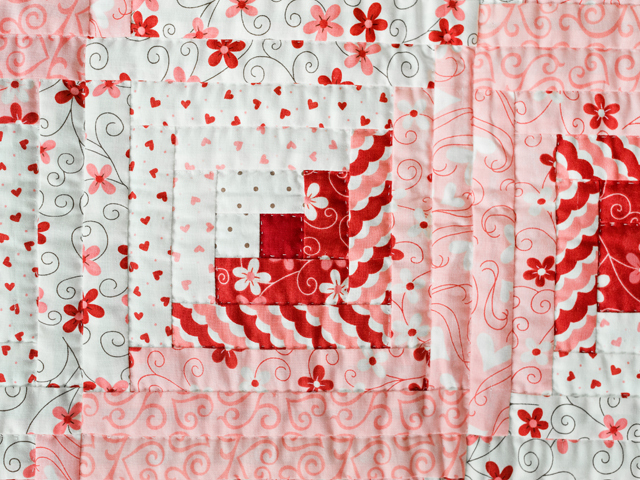 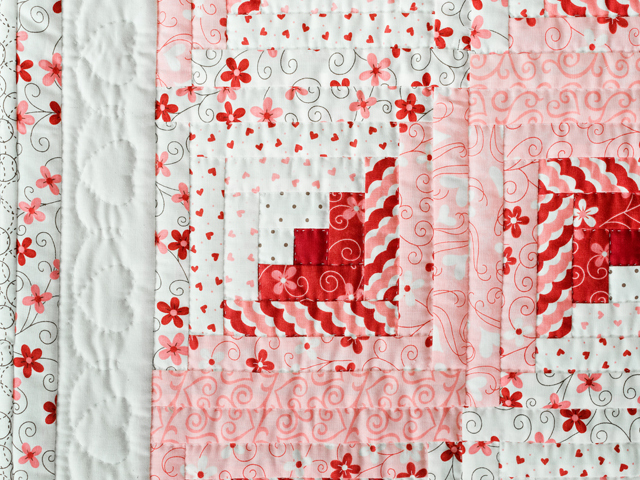 Notice all the great fabrics with hearts and the coordinating hand quilted hearts in the border. 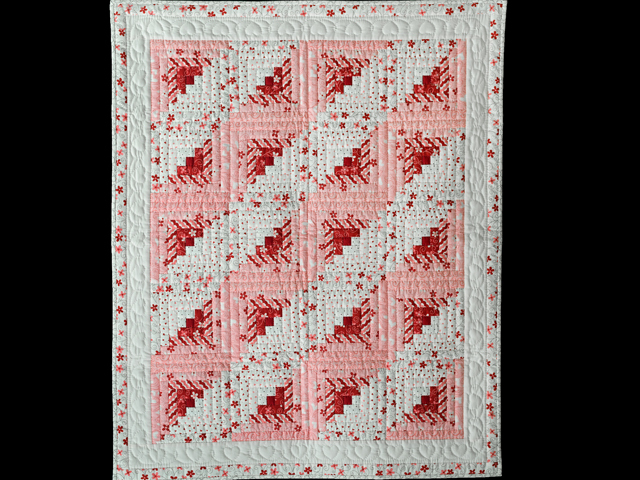 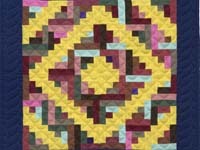 This quilt would make an amazing crib quilt, wall hanging or small throw. 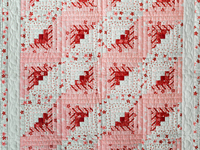 The fabrics were chosen and neatly pieced by Lancaster County, PA young Mennonite quilt designer, Connie Lapp. 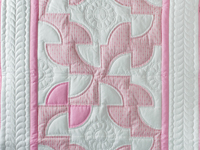 It was nicely hand quilted by her mother. 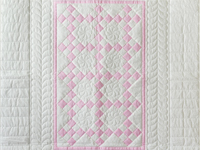 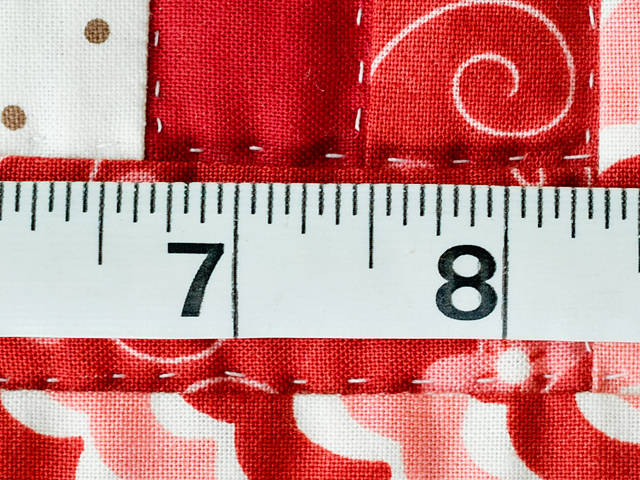 The back of the quilt is covered with a solid natural fabric.